When was the last time you thought of a computer workstation as a storage resource? Workstations typically ship with a minimum of 500 GB storage, yet usage information from AetherStore users proves that, until now, data was stored everywhere except on workstations. 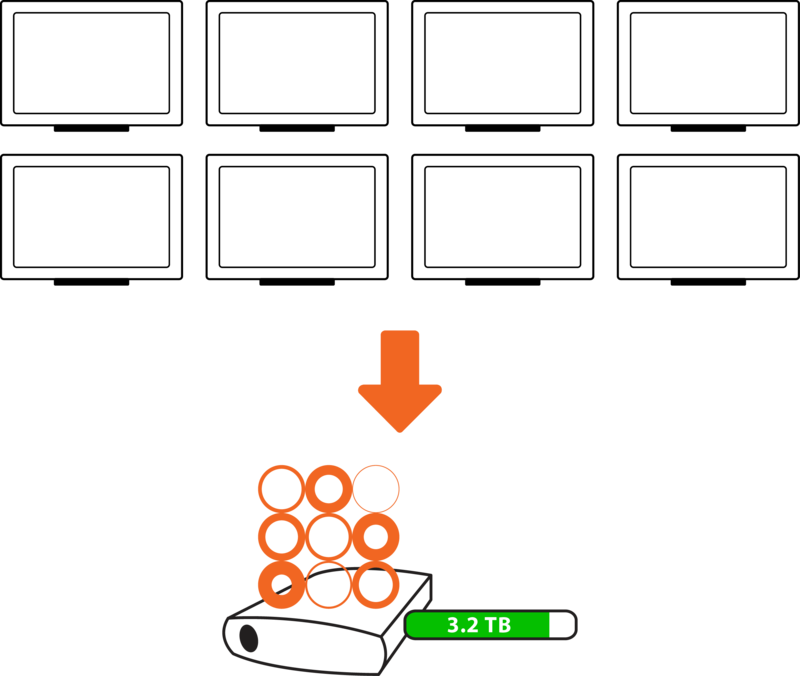 It’s not necessarily surprising, as storage trapped on individual drives provides little value; but how much storage is accumulating as a result? Multiplied by the number of machines in your office, you can imagine how quickly this available storage adds up. 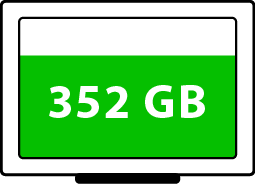 In fact, on the 520 AetherStore machines in this data set, there were over 180 terabytes of unused storage space! Imagine how much 180+ terabytes of onsite storage could cost if you had to purchase it outright. The data makes it apparent just how much storage offices already have when provided the technology to combine and manage it effectively. AetherStore customers in this data set included anywhere between 4 and 65 machines in their deployments, and reclaiming storage resources was surprisingly simple. In fact, the speediest of our users were able to get AetherStore up and running in under eight minutes, creating a multi-terabyte drive in less time than it takes to boil an egg. No matter what size your office is, if you have a few minutes and some workstations you have everything you need to start rapidly increasing usable storage capacity. You’ve already paid for the hardware – now you can finally use your space! Get in touch with AetherStore and find out how much storage is waiting for you in your own network!